The SB72 is a more durable, rugged version of the popular MaxSeal pet doors by Security Boss. They are the best sealing and insulating doors on the market, as well as the most secure when locked. These are the best pet doors by design. 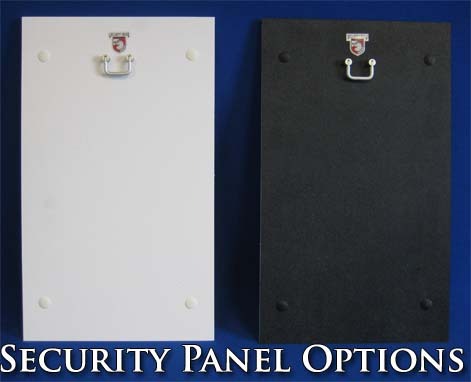 Only the finest materials are use in the manufacture of these doors by Security Boss Manufacturing LLC. The SB72 is designed to be maintained forever. This is the last pet door you will need to purchase for your dog. All components are manufactured so that the customer can easily replace, upgrade, or maintain all the main components. The structural integrity of the door and security panel are protected under warranty so that you will always have a superior performing product for the life of your dog. This model features an insulated rigid flap that is clad on both sides with aluminum and reinforced with rugged aluminum framing channel. The quiet swing action makes this ideal for use in your home. The exterior flap has been designed to perform in harsh or extreme environments. The door components are all high grade aluminum that is naturally rust resistant. The heavy duty internal hinge is stainless steel, housed in custom brass bushings. Our insulated flap is comprised of an inner polycarbonate, air cell center that is clad in aluminum, and reinforced with customized framing on all sides. Embedded rare earth magnets along the bottom of the flap and bottom framing align to provide for positive closing every time. Replaceable weather stripping lines all sides of the swing door frame. The swing motion of the door is easy to use by dogs of all sizes and settles into place... silently.